We believe Human Beings and Dragons can co-exist peacefully. 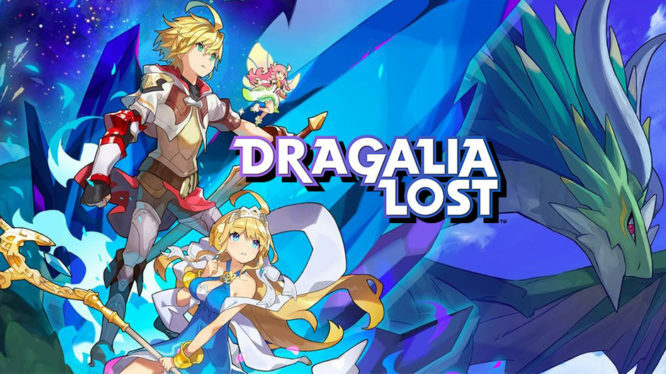 Nintendo has revealed details about their latest mobile game, Dragalia Lost, via a Nintendo Mobile Direct. The action RPG co-developed by Cygames will be coming to Android and iOS devices on September 27th. The game is set in the Kingdom of Alberia, a land where humans and dragons once had a powerful alliance. The founders of the Kingdom used their power to create the Sacred Shard, a holy fragment that disrupts the appearance of monsters. Now that the power of the Shard is beginning to fade, human beings and dragons must once again unite against the mounting darkness. Players take the role of the Prince of Alberia, the seventh in line to the throne, and a carrier of dragon blood. Controlling a party of up to four adventurers, it’s your job to seek out dragons and gain their power. You have full control of your character’s movement and can traverse the map by sliding your finger across the screen. Each map contains obstacles and traps for players to avoid. Battles take place in real time where players can attack enemies by tapping the screen and quickly swiping to dodge enemy attacks. On screen buttons allow you to take actions like using your special move or switching between characters. Players can choose to tackle every mission either alone or with other players. Multiplayer partners can be found through a quick search feature or by setting up private rooms to play with friends. Multiplayer events were also teased with a clip that showed multiple teams working together to fight a giant boss monster. The 60 available NPC allies are broken into four unit types: Attack, Defense, Support and Healing. Each character’s attacks are also broken down further by their element or weapon type. It seems that much like Pokemon Quest, each level will contain a boss battle. Boss monsters have a rage meter that fills when attacked, eventually sending them into an “Overdrive Mode” which increases their attack power. Attacking them while in Overdrive mode will decrease the gauge until it reaches zero which makes the boss enter a “Break State” where their defences are lowered and they stop moving. Players and companion characters also have the ability to transform into dragons themselves if they fill their shapeshifting gauge by collecting crystals, which can be found in the field or earned by killing monsters. 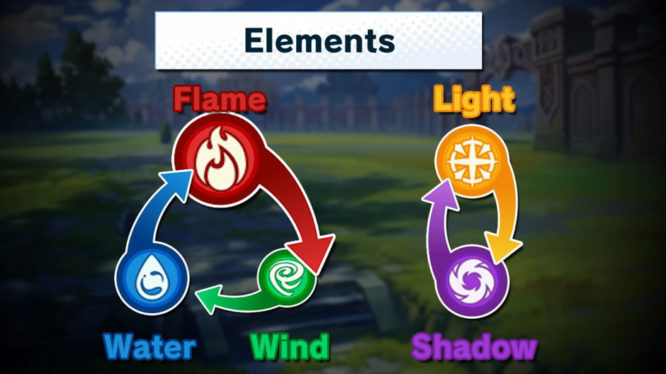 Characters can then turn into one of the five elemental dragons, starting with The Windwyrm: Midgardsormr who once held a pact with the founder of Alberia. 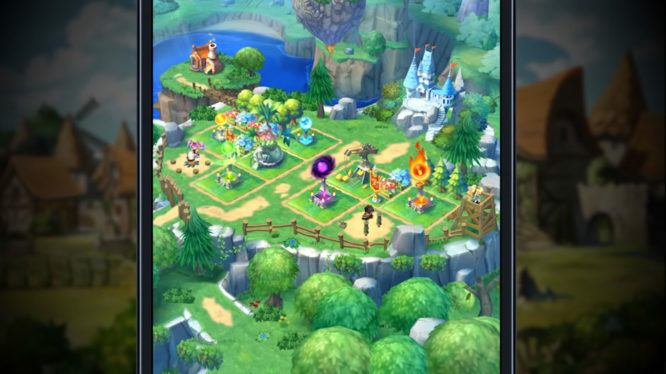 Players can also gain new characters and resources through the game’s Gacha system called “Summoning.” Resources include lesser Dragons and special items called Wyrmprints. Wyrmprints were compared to amulets or talismans and can enhance your characters based on how much you level them. It isn’t yet clear how the lesser dragons that are summoned here will impact gameplay. Summons all carry a rarity level of 3-5, which indicate their overall potential. Rolling a duplicate will grant you a currency called Eldwater which can be used to promote a character’s star level. 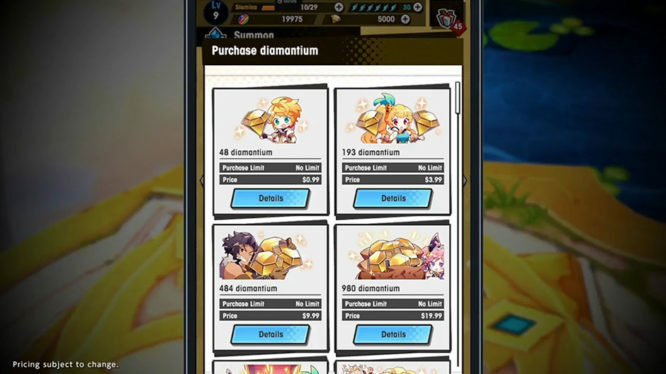 Summoning can be performed with two currencies: Wyrmite, which can be earned as an event reward, login bonus, etc., and Diamantium, which can be purchased. The images shown had Diamantium being priced at $0.99 for 48, $3.99 for 193, $9.99 for 484 and $19.99 for 980. However, it is worth noting that a disclaimer was present to inform us that pricing was subject to change. The forest that we saw was described as, “just one small corner of a much larger world.” And, during an interview with Famitsu, the game’s Director Hiroki Matsuura said that Dragalia Lost’s story has over 600 thousand words across the main story, side quests and individual character scenarios. He also promised that every event would add at least another 100 words of story text. Dragalia Lost will be available on Android and Apple devices starting September 27th and is available for pre-registering now. Unfortunately for our European audience, Dragalia Lost is currently only planned for release in the USA, Japan, Taiwan, Hong Kong and Macau. Those who pre-register will be rewarded with, “an in-game gift of up to 1,500 Wyrmite” if the game reaches 500,000 pre-registered users.